Please join me Monday at 6 p.m. for a live telephone town hall to discuss important state-related issues impacting you and your neighbors in the 40th Senatorial District. This type of meeting allows you to listen in and ask me questions from the comfort of your own home via your telephone or live audio stream. 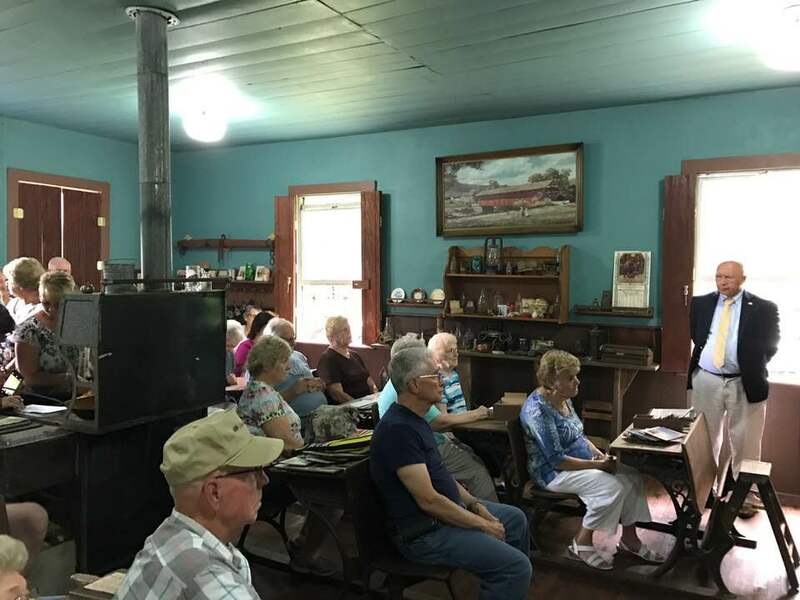 On July 22nd, I took part in a ceremony honoring the women who worked in the “blouse” mills of Kunkletown during the last century. The tragic death of 146 young women in the Triangle Shirtwaist Factory in 1911 led to the public’s support of the International Ladies Garment Workers Union demanding safer working conditions, an end to child labor and better pay. The reaction of some companies in the garment industry was to create what came to be known as “runaway” factories. These factories were established in rural farm areas outside of New York City – many were in the Poconos. At its peak, over 200,000 women and some men were employed at low pay and often unsafe, sweltering conditions here in Pennsylvania. For decades they continued to do their many laborious home chores and then go to work in these factories to provide some extra money for their families. Some girls at 15 or 16 years of age left high school to help their families by working in these factories. 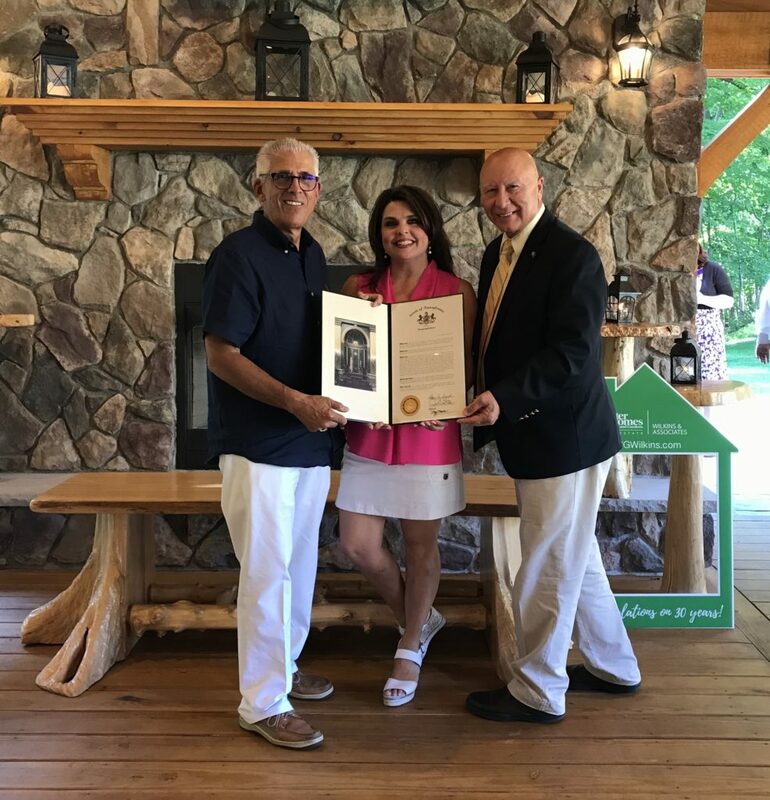 This ceremony was an opportunity to recognize the surviving Blouse Mills seamstresses and to honor the sacrifices of all those who came before them. 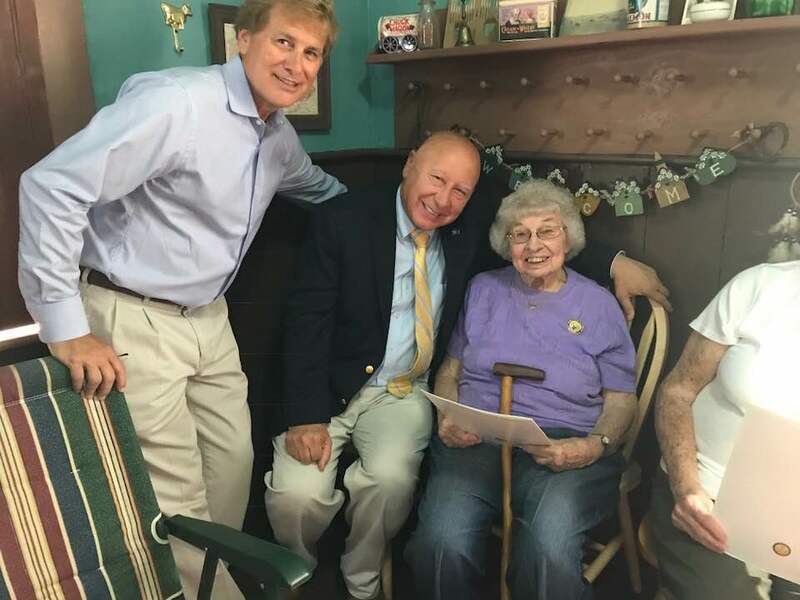 The Centers for Medicare and Medicaid Services have finished mailing new Medicare cards to beneficiaries residing in Pennsylvania; however, a small portion of these beneficiaries have not received their cards. Sign into MyMedicare.gov to see if your card was mailed. An official card can be printed from your account site. Beneficiaries can create an account if one is not currently established. 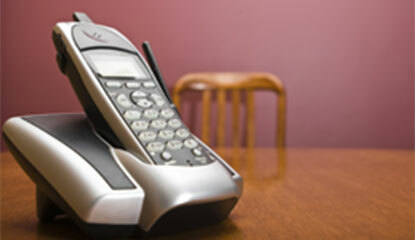 Contact 1-800-MEDICARE (1-800-633-4227) for assistance. It is possible that you may have to update his/her mailing address. In the interim, beneficiaries can continue to use their current Medicare card to obtain health care services until the new card is received. 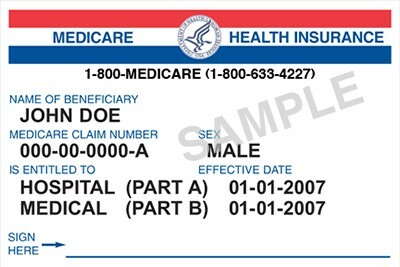 Additional information regarding the status of our card mailings can be found on the Medicare.gov/NewCard website. Fair season has started! If you’re looking to visit one of Pennsylvania’s many fairs and festivals this summer, the 2018 Pennsylvania Fair Guide is now available. In Northampton County, the Bath Community Days, Roseto Big Time and Plainfield Farmers Fair end this weekend. Please come out and show your support. The Blue Valley Farm Show will take place August 14-18 and the West End Fair will take place August 19-25. Visit the fair’s website for information about events. Published by the state Department of Agriculture, the guide lists the dates, locations and contact persons for more than 100 agriculture fairs and events scheduled this summer and fall in Pennsylvania. The guide also highlights 16 fairs that offer live harness racing as part of one of the nation’s leading fair-racing programs. A new scholarship program for all new born PA residents is set to take effect on January 1, 2019. The Keystone Scholars Program establishes a $100 scholarship grant for higher education expenses. By saving $25 a month, parents will have saved $10,000 by the time the child turns 18. These funds can be used for any qualified higher education expense at an approved institution of higher education, including trade schools, vocational programs, community colleges, and universities in or outside Pennsylvania. Small businesses and, for the first time, farmers, can now apply for state Small Business Advantage grants to undertake pollution prevention, energy efficiency and natural resource protection projects. Natural resource protection projects include the opportunity to plant riparian buffers, install streambank fencing to keep livestock out of streams, and agricultural storm water management projects, with the goal of reducing sediment and nutrient loads in our waterways. Eligible projects are those that adopt or acquire equipment or processes that reduce energy use or pollution. Examples of eligible projects are HVAC and boiler upgrades, high-efficiency lighting, solvent recovery and waste recycling systems, and auxiliary power units deployed as anti-idling technology for trucks..
Congratulations Thomas and Christine Wilkins of Better Homes and Gardens Real Estate Wilkins & Associates on celebrating 30 years in business! 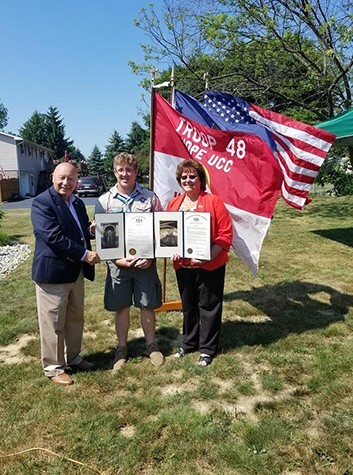 Congratulations to Peter Charles Tocket, whose Eagle Scout Court of Honor was recently held in Pen Argyl. Pictured with us is Representative Marcia Hahn.